Whole Foods foot traffic is up 25% based on various sources around the country. Is it a flash in the pan or a sustainable trend? Who appear to be the early winners and losers from the acquisition? Amazon? Whole Foods? Consumers? Retail landlords? Or all of the above? How this could specifically affect retail shopping centers and commercial real estate- including South Florida shopping centers. Amazon, Jeff Bezos’ online retail conglomerate and cloud computing empire, recently acquired Whole Foods Market for over $13 Billion dollars last month (Washington Post). People are noticing the effects of this massive purchase already, and it could have lasting repercussions for retail shoppers’ interactions with shopping malls all over the country. Amazon just boosted its retail presence in a big way using a commodity that people need on a frequent basis, grocery stores. To put things into perspective, there are “more than 450 Whole Foods stores to date” in the United States, 23 of which are in Florida. The overwhelming majority of them are based on South Florida commercial real estate properties. The prices of some items were slashed as much as 43% immediately. Whole Foods’ is known for catering to more affluent consumers due to their previous price points, but cutting prices should broaden their base. This is a prime moment where “the consumers are the winners”, according to TheHill.com. The immediate observation echoed by USA Today, CNBC, Bloomberg, Boston Globe, Reuters, TheStreet.com, and other media outlets is that “Whole Foods’ foot traffic is up 25%” immediately following the acquisition. This visceral response is in large part due to the price cuts announced on items all over the grocery store’s products. Shares of Kroger, Wal-Mart, Target, Costco, Supervalu and Sprouts Farmers Markets collapsed Thursday after Amazon said Whole Foods would employ price cuts on many grocery products. Amazon.com stands to gain millions of new members in its Prime subscription program from Whole Foods Market’s current customer base, according to new research from New York-based financial services firm Morgan Stanley, as Amazon Prime becomes the customer rewards loyalty program at Whole Foods. Amazon said that Prime Members will have access to exclusive deals and benefits that non-Prime members won’t be able to access. Additionally, Whole Foods’ private labels, including 365 Everyday Value, are now available through Amazon’s Prime Pantry and Prime Now food delivery programs that are only available to Prime members. Lastly, Prime members can now order good items online at Amazon.com and pick them up at an Amazon Locker located at their nearest Whole Foods. Double-digit annual sales growth is forecast through 2025 when the research company projects Amazon’s food and beverage sales, including Whole Foods, could top $30 billion. If Amazon does cut prices broadly, as some analysts believe, it will help to attract more middle and lower income consumers further driving volume. This would in turn help Amazon to expand its Prime memberships beyond higher-income households, which is the majority of its Prime memberships currently. The recent up tick in foot traffic should be a positive sign for Whole Foods anchored shopping centers, and their co-tenants. Whether this continues longer term is to be determined. Billionaire real estate investor Sam Zell, founder and chairman of Equity Group Investments, believes that physical Whole Foods stores five years from now “will be half the size they are today, or maybe even smaller… Basically, Amazon is buying depots, not retailers,” argues Zell. Local and regional brands and manufacturers- Amazon announced that a brand representative will no longer be able to promote their products in-store at Whole Foods- a potential blow to upstart brands that use in-store reps to educate customers on new products until the brand grows and is able to spend significant marketing dollars to educate consumers directly. Kyle Garner, CEO of Organic India, which sells teas, spices, and wellness supplements in Whole Foods stores, shared with Wall Street Journal that a centralized model could hurt his business. Under the previous model, he told the WSJ, Organic India could prove itself in one or two regions, and then use the data to expand nationally. He says the changes could make it harder for up-and-coming brands to compete. Amazon has made clear that it intends to aggressively push its Whole Foods 365 Everyday Value line. On its first day as the official owner of the natural foods grocer, Amazon made more than 2,000 items from the Whole Foods 365 Everyday Value line available online in the United States. By the end of the first week, sales across Amazon’s Pantry, Fresh and Prime services rang up $500,000 in total sales — nothing was sold on Amazon.com, according to One Click Retail. The unprecedented demand that Amazon experienced during its first week as the grocer’s official owner did have one downside. Inventory was limited, and 93% of the top 100 selling items were out-of-stock by the end of the week. This negatively impacted sales for week two, which took a 38% dive, the company reported. How this could affect retail in South Florida? It is too soon to tell how Amazon’s acquisition of Whole Foods might affect South Florida commercial real estate in particular. There is currently one Whole Foods under construction in Miami-Dade, at US1 and 104th Street in Pinecrest. 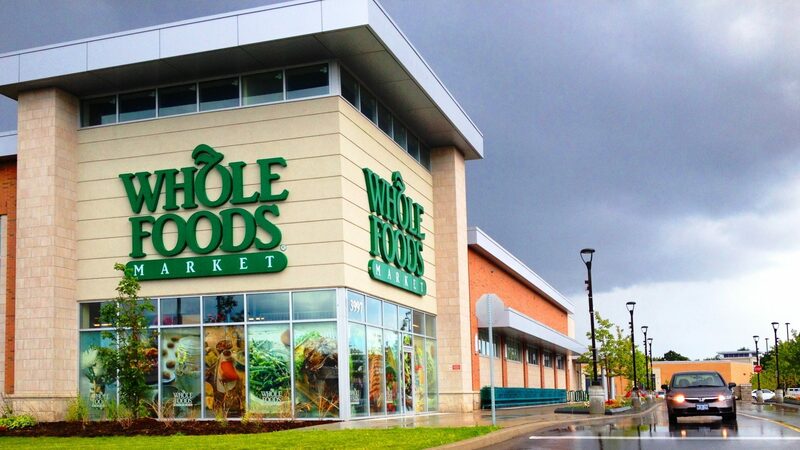 Whole Foods will anchor the shopping center with a 46,000 square foot store, but that lease was signed well before the Amazon / Whole Foods acquisition. Retail landlords are curious as to whether Whole Foods will continue to expand, and what the size of future stores would be.